I stumble across all kinds of things watching YouTube videos. There's some great info out there. I've figured out knitting stitches, how to take apart a vacuum cleaner, and more. I've also bought more beauty products than I can count . . . so tempting! 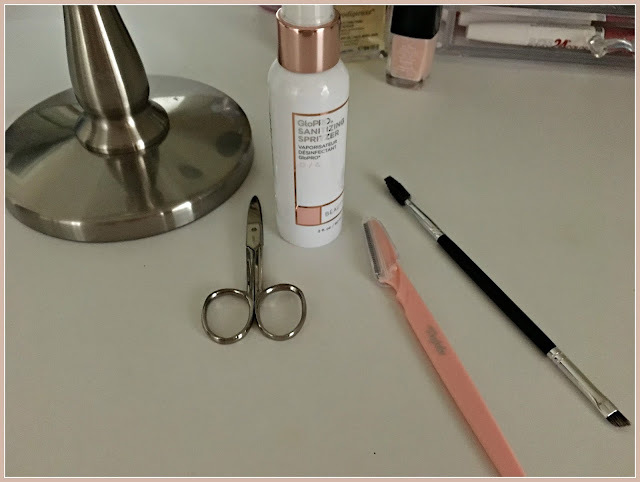 Over the past few months, I've tried out three different facial tools that I've seen on various YouTube channels. They range from inexpensive to pricey, from easy to use to downright scary! Here's my thoughts on each of them. 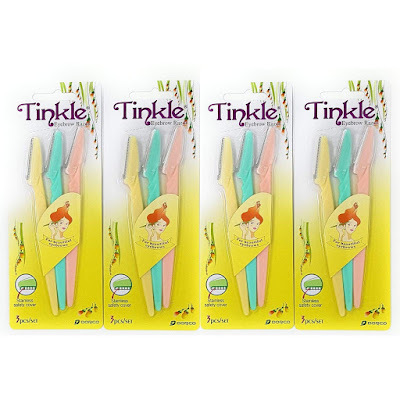 The first is the Tinkle razor for removing peach fuzz on your face. I would have walked around in ignorant bliss, peach fuzz in all its glory, if I hadn't seen a few videos where shaving was part of the overall skin care regime. Who knew? But after hearing about amazing results, with moisturizers and foundations gliding on so much more easily after the peach fuzz had been whisked away, I decided to give it a go. I guess it's a thing. These razors and others have been around for several years, popularized by recent interest in Korean and Japanese beauty care. Apparently, Japanese women have always shaved their faces. Even Marilyn Monroe and Elizabeth Taylor did. 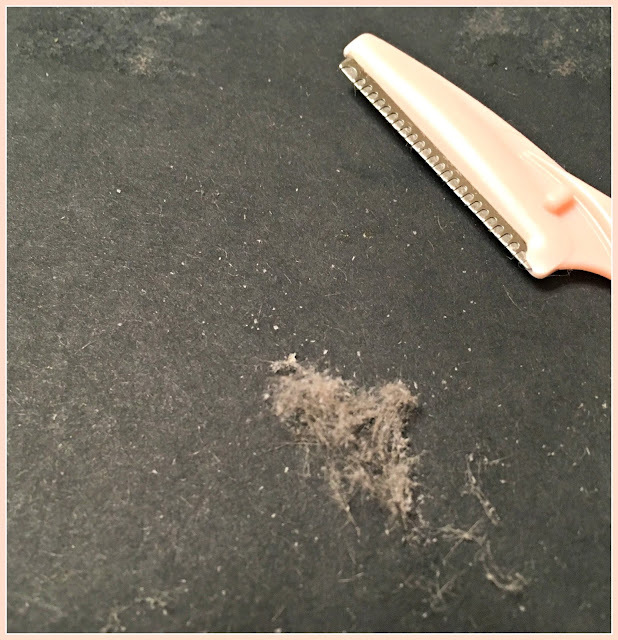 Besides removing hair, shaving can work as an at-home version of dermaplaning, a procedure you can get done in a dermatologist's office that promises to not only remove all facial hair, but exfoliate in the process. But the at-home version will save tons of money and basically do the same thing. After being reassured that I would not end up with stubble or five o'clock shadow !! 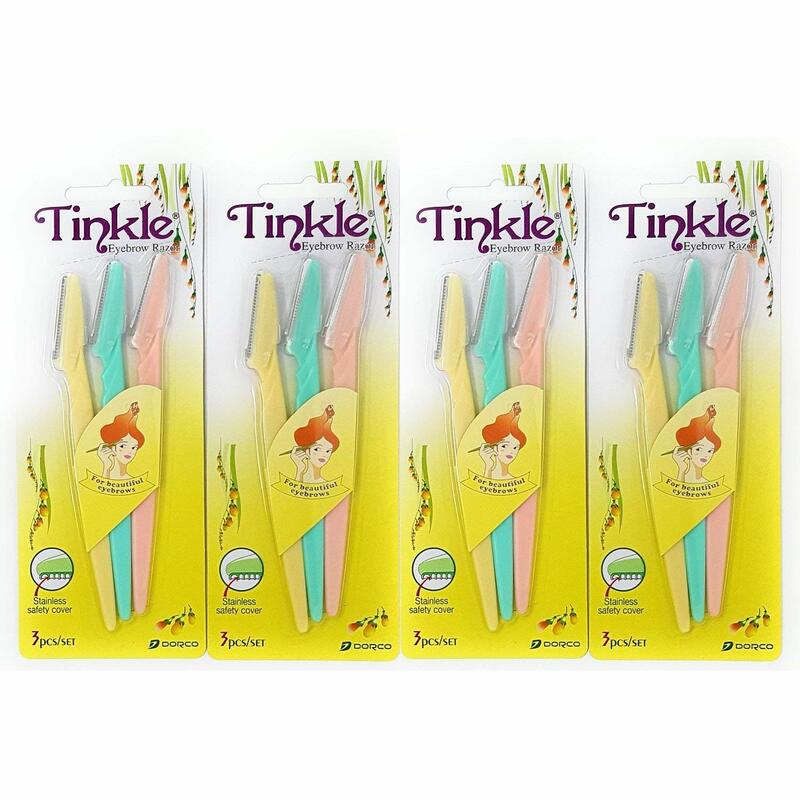 !, I bought some little disposable razors called Tinkle from Amazon. I got 12 for $6.95 with free shipping with my Prime account. One razor is good for several shaves, and most YouTubers I watched didn't shave more than once a week, usually less. Look what I shaved off! And yes, there's a lot of exfoliated dead skin there, too! Some people, including Kate Somerville, who owns an eponymous line of skincare, use a regular old men's razor. She's been shaving for 20 years! By the way, if you use a little scraper, like the Tinkle (and there are many other brands out there), you can use it dry. No shaving cream or oil. But if you use a regular razor, you will need to use shaving cream. 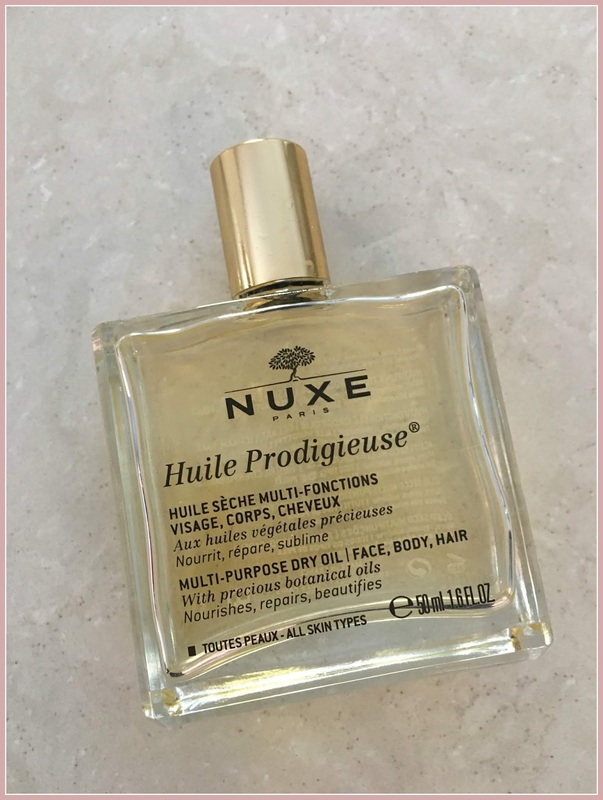 I put this Nuxe Huile Prodigieuse dry oil on after I shaved. It is so soothing, and it has a lovely scent. My face feels baby soft and smooth. But, caution: these razors are sharp!! Go slowly. And watch some instructional videos first. 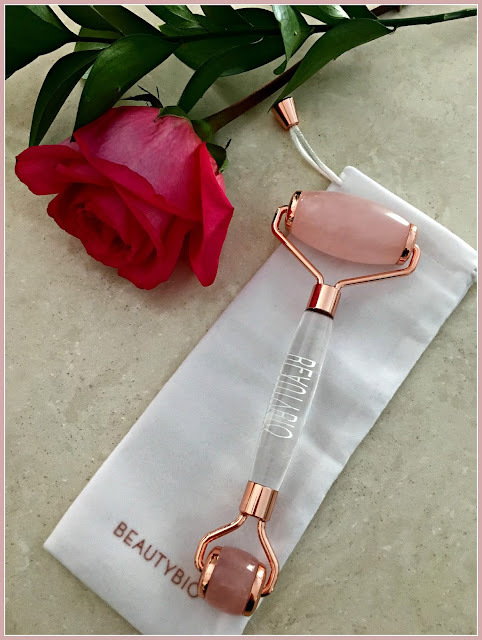 The second product I tried is a rose quartz roller. These are meant to seal in serums after application. They are also meant to contour and de-puff, as well as promote lymphatic drainage. The Brazilian rose quartz is also supposed to transmit "loving and healing energies." I'll take that last bit with a grain of salt, but this roller does feel very nice and cooling on the face. I like the smaller side, too, for rolling gently around the eye area. I've seen these rollers in jade as well, and they are available at various price points. I got this one here from Sephora. The last item I tried is a facial microneedling tool. This was the most expensive and definitely the scariest to try. 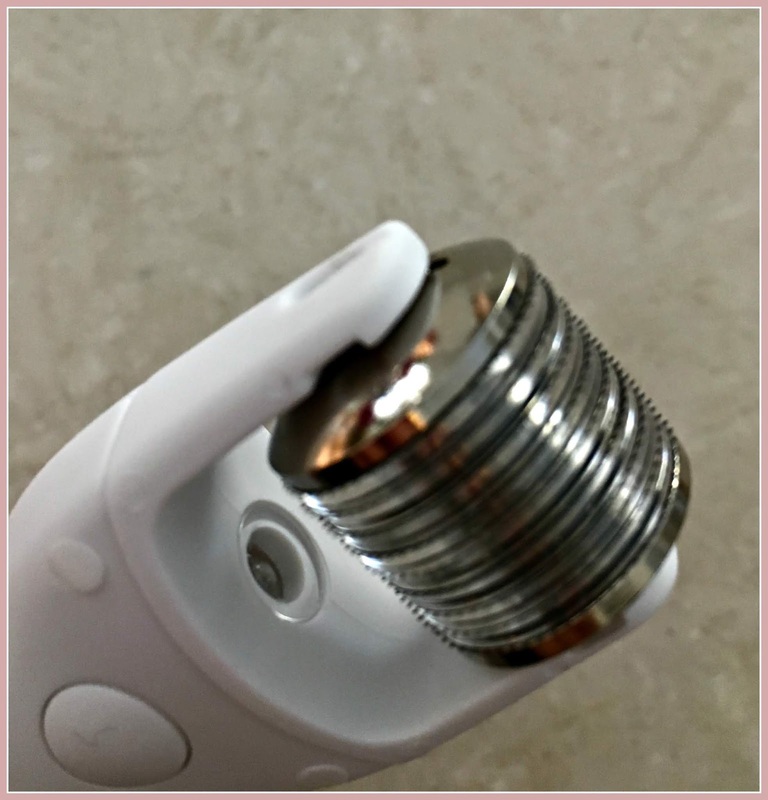 I tried the BeautyBio GloPRO Microneedling Tool from Amazon. The tool is a handheld roller covered with tiny (0.3 mm) needles. I tried to get a closeup so you could see the actual needles. You roll it over your face gently back and forth, up and down, and diagonally, to create tiny cuts in the skin. As the skin heals, it is supposed to build up collagen, a key ingredient in keeping skin youthful. It will also cause your skin to better absorb moisturizing serums and creams. Microneedling treatments in a dermatologist's office are quite expensive. I asked my dermatologist about these tools. She said they really don't penetrate deep enough into the skin to enable collagen to build up. (Hmm . . . is this because she doesn't want to lose business? Or because it's really true? Thoughts?) And she cautioned that you must be sure to clean the tool with alcohol after each use. But she did acknowledge that it would help your skin to better absorb skin care products. In practice, this tool was much easier and less scary to use than I imagined. The needles are very small, and I definitely did not feel like I was cutting or injuring my skin. It didn't hurt at all. 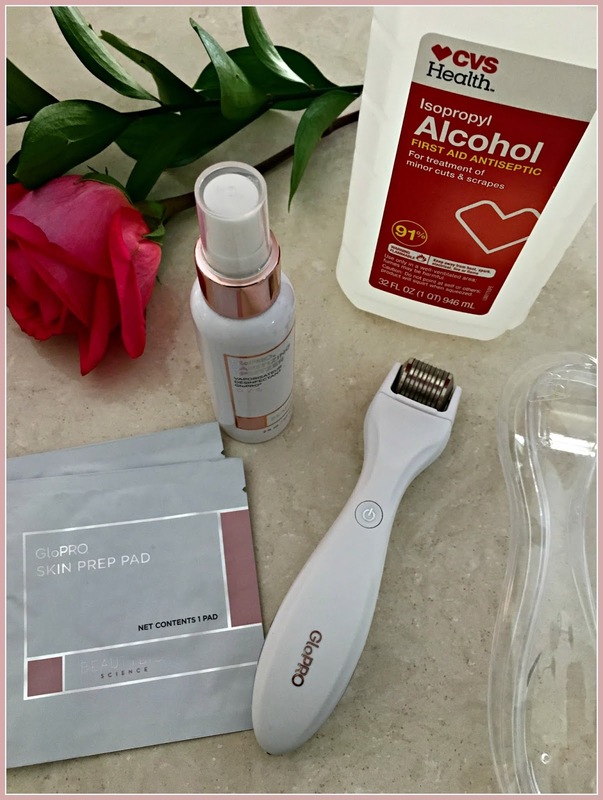 Because I've been trying to up my skin care game, and because facials and dermatology treatments are expensive, I felt these tools were worth a try. Not sure that they are game-changing, but I would definitely recommend any of them. What about you? Have you tried any of these products? I got a large, positive response on my last post on abortion. Only one negative comment, which I didn't post because of the vulgarity it contained. I don't mind printing opposing viewpoints, but I will not put ugly language on my blog. Because civility is important. In the five-plus years I have been blogging, I don't think I've ever written a controversial post. But I feel I need to respond to the recent state of New York legislation on abortion. That, together with recent comments by the governor of Virginia, have compelled me to say something about the wretched lack of regard for life here in our country. Originally, I was only going to simply respond to some pro-choice Facebook posts, but I've never liked getting into online arguments, and they never seem to go very well anyway . . . So here are my thoughts. Although I believe that life begins at conception and that all abortion is the taking of a life, I am completely horrified by the expansion of abortion through the full term of pregnancy and the idea of taking the life of a baby who can survive outside the womb, as is now law in the state of New York. This legislation allows abortion up to the baby's due date if necessary "to protect the mother's life or health." The now-tabled state of Virginia bill allowed abortion if the mother's physical or mental health would be "impaired." There is no medical reason to abort a baby to save the life of a mother in the third trimester. None. Early delivery may be indicated in order to save a mother's life, such as in the case of a mother with preeclampsia, but delivering early can save both the mother and the baby's life. And if a mother's mental health might be "impaired?" We certainly can provide the psychological care needed to help her through a month or two until the baby is born, and after. Adoption is a life-giving option. There are so, so many couples unable to have children who are longing to adopt. I'm sorry, ladies. It is not your body. Fair or unfair, the moment you became pregnant, it was your body and another person's body. Google "sovereign zone argument" and "right to refuse" argument for interesting and compelling arguments supporting the pro-life position in this regard. And, in what could be another whole post, I believe, at its core, that abortion is anti-woman, a violation of the essential nature of us as life-bearers. In addition, almost all third-trimester babies can survive outside the womb. The age of "viability" is recognized as 24 weeks. A baby born at the start of the third trimester, that is, at 27 weeks, has a 90% survival rate, and those born at 32 weeks and beyond have a 95% and greater chance of survival. You have two premature babies in the hospital. One is getting life-saving treatment in the NICU. He will go home soon. The other, down the hall, has just been aborted. The difference? One was wanted and the other one wasn't. Is this our criteria for life?! I have heard pro-choice people say that we pro-life people are only pro-baby and not pro-children. In other words, we only care about outlawing abortions; we don't care anything about the lives of those babies after they are born. We don't care if they are born into poverty and we don't support, for example, social service programs that help poor women and children. There are two problems with this argument, as I see it. First of all, even if this were true, and it is unequivocally not, it has nothing to do with whether the murder of babies is right or wrong. And I'm sorry, we pro-life people are generally polite, and don't use the word "murder," but hey, it is what it is. Do we say, let's get rid of our veterans because we don't have the social services and support network to take care of them? Do we get rid of our elderly because they don't have the health care and quality of life that they should have? Is there any other population group that we agree to dispose of because their lives are difficult, or because we sometimes as a society allow them to fall through the cracks? Whether or not a person has or is going to have a good quality of life has nothing to do with whether or not they deserve to have life. God help us if this is our standard. I think the early eugenics programs attempted something like this. Iceland now boasts it has no Down Syndrome in its country at all (because those babies have all been aborted); ask a family with a Down Syndrome child if his or her life is not valuable. Of course, we must always do what we can to help the most vulnerable in our society. Children, low-income families, the elderly, people with disabilities, veterans who have fought our wars and need medical and psychological help . . . we need to provide safety nets. But no human alive is guaranteed a life without struggle. Accidents, disabilities, loss of jobs, deaths of loved ones, aging . . . it happens to all of us at some point. We don't have the right to take away life because it might be hard. Secondly, pro-life people do care about babies and children. I have pro-life friends who have adopted, who foster children, who work at social service agencies to help the poor and marginalized. Pro-life friends who tutor inner-city children after school, run programs for disadvantaged rural youth, conduct job training and parenting classes for women who have chosen to keep their babies. The list goes on. I said this would be a controversial post. But really, why it should be controversial is beyond me. It's appalling to think that any sane person would agree that it should be legal to take life, and especially in the third trimester. I have always prayed that one day -- soon -- we will look back on the era of Roe v. Wade with the more than 60 million aborted babies in its wake, and cry out in anguish and in repentance for what we have done. It has been a holocaust.